Kyle Kurtz is in high demand. The slugger out of Jackson, MO with a 6-2 record is currently penciled in to fight in the main event for two opposing promotions, seven days apart. Kurtz has been named (and his photo used in promotional material) as the main event opponent for Lucas Gwaltney for Fight Hard MMA's all-pro card Friday, September 17 at the Family Arena. 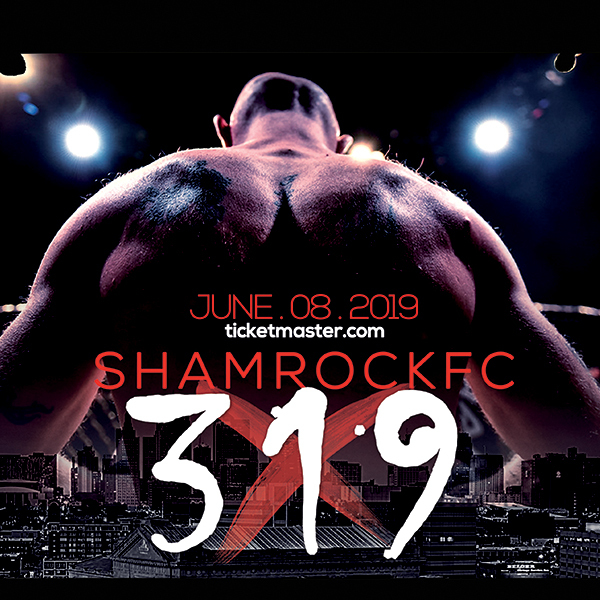 Shamrock Fighting Championships released its card for the SFC: 276 at the Ameristar Casino in Kansas City last week and sitting atop the bill is Kurtz vs Bobby Voelker. Kurtz is not under contract with Shamrock FC but Shamrock does have matching rights. In his last six bouts, he has either fought for SFC or Bellator MMA, who Shamrock helps in matching undercard bouts. 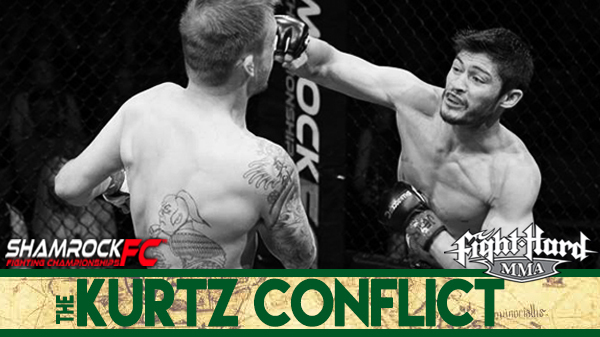 "I fully expect (Kurtz) to fulfill his contract obligation and be there," Shamrock FC President Jesse Finney said. "If not, we will take the necessary means to make sure that he does." Finney said he has not seen a signed legal, bout agreements from Fight Hard MMA and Kurtz in order to make a matching offer. "If we do see a legal bout agreement, we will weigh all options," Finney said. "We have given permission to numerous fighters to fight on other promotions but we want it handled properly and professionally." In Kurtz's signed bout agreement with Voelker, there is a 45-day non-compete clause before the September 24 fight night. According to Finney, Max McNeeley, who is also listed on the Fight Hard MMA card, also signed a bout agreement that has a 45-day non-compete clause for an upcoming Shamrock FC show in October. Demetrius Wilson, who is listed in on the Fight Hard MMA card, has signed an inclusive contract and Finney expects Wilson to honor that as well. Much like Finney, Fight Hard MMA President Kenny Nowling expects Kurtz to be in his main event slot in little over three weeks. "I do not, nor does the company, have any contractual agreements with Jesse Finney or Shamrock FC," Nowling said. "It's an issue between him and the fighter and he can take it up with him. I think it would be a poor business decision to get into the business of suing fighters but ultimately that decision is up to Shamrock FC." Nowling stressed that the Kurtz issue isn't a matter of promotion vs. promotion. "I have, and will always be, supportive of every local promotion, whether it's pro or amateur, and everyone at Fight Hard MMA will continue to do so," Nowling said. "I think that this is much ado about nothing. We are offering Kyle Kurtz the largest payday of his career. If another promotion, now or in the future, comes along and offers a larger payday not only myself but Bobby Don and Fight Hard MMA will support him and there's a good chance that we'd purchase tickets to see him fight. In my opinion, every promoter in the St. Louis area should work towards building and grow MMA in the region instead of singularly growing their own promotion." "Nothing against either promotion. I am here to fight," Kurtz said. "I am just trying to make it to the top level, fighting the best and doing what I can for my family and myself and my career. I am going to take losses throughout this course. My job is to be an active fighter and put on the best performances possible and be enjoyable to fans. Fight Hard is for sure the biggest paycheck of my career and I'm looking out for my best interest." Tim Lueckenhoff, the Director of Missouri Athletics said a Missouri professional MMA fighter competing twice in seven days is rare. "It's happened when a fighter has gotten a choke in the first minute without taking any strikes," he said. Lueckenhoff said he and the cage side doctor confer post-fight and determine how long a medical suspension for a fighter is. The typical medical suspension is 30 days for a TKO and 60 days for a KO. A fighter that goes to a decision can fight again in seven days, barring any significant cuts and/or injuries. The likelihood of Kurtz fighting twice in a week appears to be both legally and physically improbable. "I don't see it happening," Lueckenhoff said. "These are too tough opponents." Lueckenhoff added that neither he nor his office have received the official fight card for Fight Hard MMA's September event, which will need his approval.